Once you have edited the file, (see instructions below for help with this) print the pages you wish to use, laminate them for durability and cut out all the pieces. 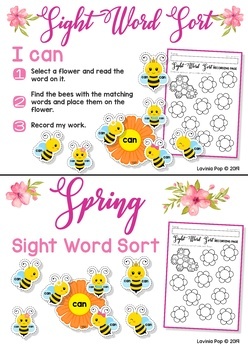 The aim of this activity is for children to sort the sight word bee to the correct flower. 3. 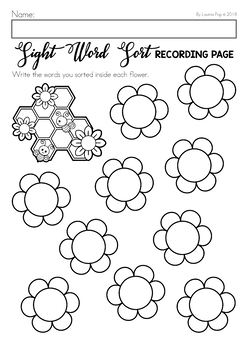 Simply type one word in the editable field on each flower. 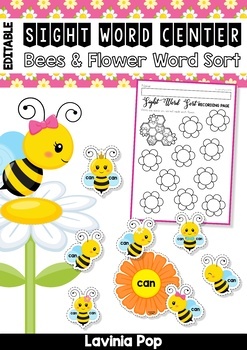 The words on the bees will automatically be updated to display the corresponding word.